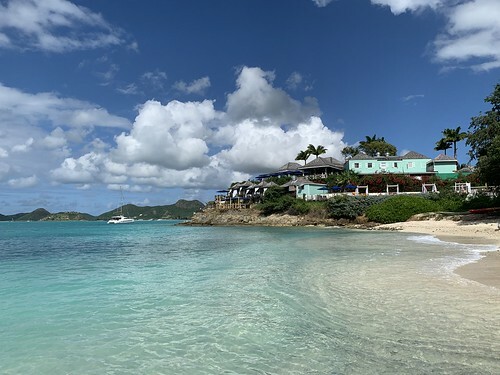 The twin islands country, an other islets in between has some of the finest beaches in the Caribbean, hence why its fame, especially the island of Antigua. Barbuda, while smaller and more secluded, is by far less visited, rarely included in any cruise trip, and as of today is still recovering from the almost total destruction that caused Hurricane Irma in 2017. Visiting the island is entirely depending on what sort of holidays you are doing. Obviously anyone can come here and spend, say, two fabulous weeks from beach to beach relaxing. But majority of tourism comes on a cruise, and this means arriving early in the morning, and departing late at evening, so pretty much from 8.00am until 18.00pm. That’s well enough for even circling the entire island if you rent a car or get a driver doing this, time for the capital city, some shopping and of course a nice rest at a beach or two. But other than this it’s not much more you can do in any case. Of course aside of the plenty other activities your cruise might offer as extra activities and excursions, but don’t worry, the day on your own will be great, easy and straightforward. Now adding here an important and possible valuable note considering the massive experience from the countless countries and places I’ve been, and the many paradise beaches across the world. Antigua ranks right now among the very top of the list! It was simply spectacular to see and enjoy, even if this was for a very short time. Just remember the name of Coco Beach, that’s where you want to aim for, a dream, including the astonishing Coco Beach Resort. Plus hearing once there that Barbuda is even better in this sense, then for sure I shall return for a much longer break. For more information about Saint John’s and Antigua island itself check Wikipedia sites. Antigua and Barbuda currency is the Eastern Caribbean Dollar (XCD). Please note that any price reference is true as from when this guide was created, therefore check prices in advance as with the time they change. Dickenson Bay Near the capital city and the airport, along the north coast, one of the nicest beaches and so the easier to access for the cruise ship tourists. The major resorts are located here. Fort James One of two forts than once guarded the harbor. It offers nice views towards the bay and the city. Saint John’s The capital city of the country and main island, Antigua. -Saint John’s Cathedral Originally consecrated in 1683, the current building is the 3rd reincarnation from 1848 in Baroque style after earthquakes destroyed the others. -Rum Distillery In the commercial harbor, along Dickenson Bay Street. Unfortunately there are NO tours available, but good to know for a rum lover to buy at a shop. Their products are English Harbour and Cavalier. Valley Church Bay Towards the south-westernmost point of the island, a beautiful beach secluded in great landscape settings and homes. Coco Beach Possibly the most beautiful in the island. Very small, fine white sand and a spectacular resort perched from a little hill, the Coco Resort. A must visit, and of course the most recommended to stay on holidays. Ffryes Beach The next after Coco Beach, right next to it (you can walk between them two even barefoot), another great white sand paradise. V. C. Bird International Airport is located just to the east of Saint John’s itself, at the north of the island. With distances here being that small, it is merely matter of few minutes towards the city centre and elsewhere in Antigua. Flights are available to the UK, US, Canada and other Caribbean destinations. The main cruise terminal in the twin island country is located here in Saint John’s, directly accessible to the city centre via the Heritage Quay shopping mall. The island of Antigua is actually very small, and while there are public buses (small vans) covering most of the corners, villages and beaches along the coast, it will be easier to get a driver to be with you for the entire day, going to the major sights or wherever you have planned to visit. As an idea of what cost to expect, set aside around $US 30 per person if you are 2 people, and around $US 20 per person or even a bit less if your negotiation skills are good if you are 4 people. Since this was a cruise holidays and we slept always on-board, there is little I can say about accommodation here in Antigua other than the usual, checking some of our preferred affiliate hotel search engine such as Hotels.com, Booking.com, Expedia, Otel.com, Agoda, Opodo, LateRooms or Ebookers. In any case this is a paradise destination with amazing beaches at the north, west and south, and so are the up-scale luxurious hotels and resorts. Finding your desired choice won’t be difficult, however it won’t come cheap nor even within a medium range. This entry was posted in 01. January, 04. North America, 08. December, 2018, 2019, Antigua and Barbuda, Big Trips and tagged Antigua, Antigua and Barbuda, Caribbean, Coco Bay, Coco Beach Resort, Coco Resort, Dickenson Bay, Ffryes Beach, Fort James, MV Azura, North America, P&O Cruise, Saint John's, Valley Church Bay. Bookmark the permalink.